I love older houses. They have charm and character already built in, and adding vintage furnishings and precious heirlooms only add to their appeal. 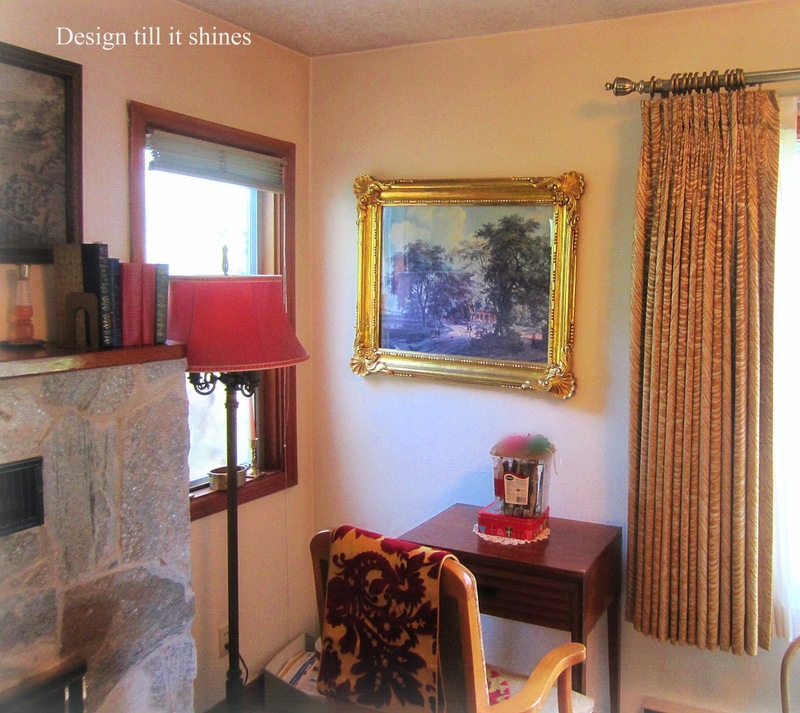 I visited a dear friend recently and she allowed me to take some pictures of her 1930's style cottage to share with you. Just to the right of the entry way is her living area. 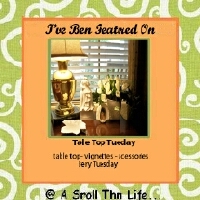 She thought I might like to tidy up a bit, but I love a lived in look so I kept things as they were. I would have liked a better camera for these shots though. I love the stone on her fireplace with its sparkly finish. I don't know what kind of stone it was, but it was beautiful. Lovely painting with gold leaf frame. 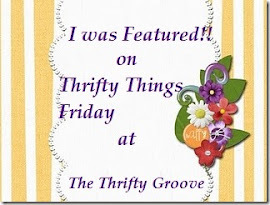 She's taken very good care of her antiques and had a story to share about each one. I wish I would have written down what she shared with me. Love the red lamp shade. This is either a print or a tapestry, I'll have to check back with her on that because I love the western theme. It's hard to see the detail in this pic, but it is amazing and it has an interesting story to go with it. This antique clock was likely manufactured in the early 1900's by the Sessions Clock Co. Notice the key under the clock that was used to change the time. 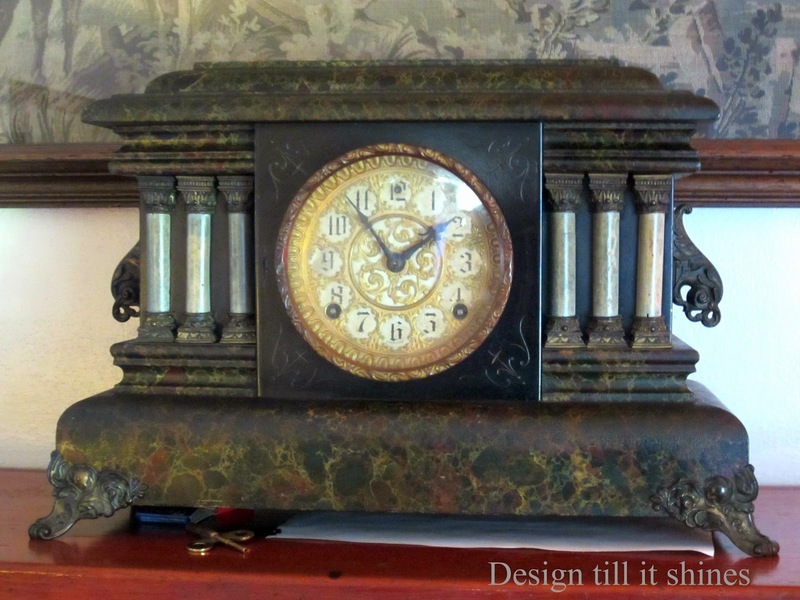 Lovely gold filigree on the face of this mantel clock. It works perfectly too. 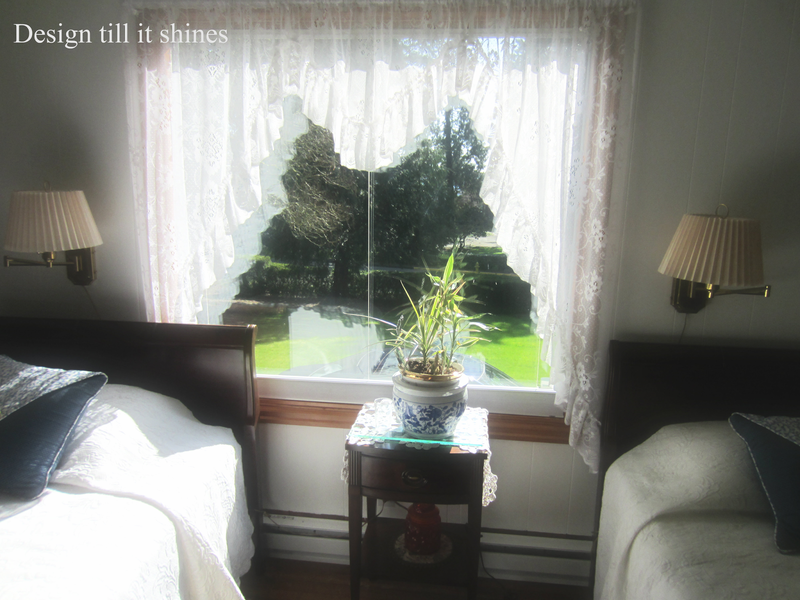 Original casing on these windows, so lovely varnished and windows with frosted glass. 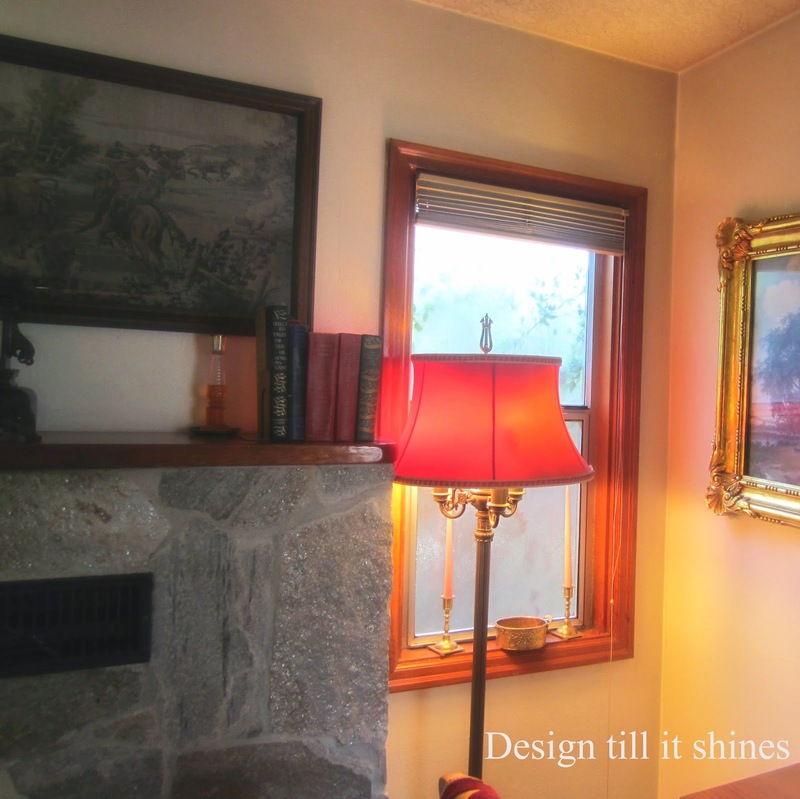 The red lamp shade casts such a pretty glow in this corner. 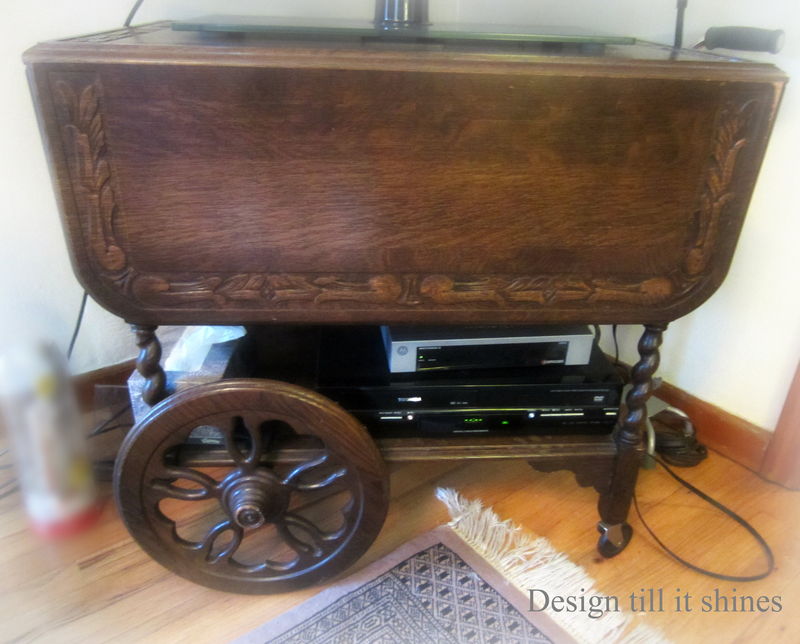 She's had this vintage table cart for many years. It now serves as her TV stand. The living area flows into the dining room. The kitchen is through the door on the left. I love houses with built in hutches in each corner. 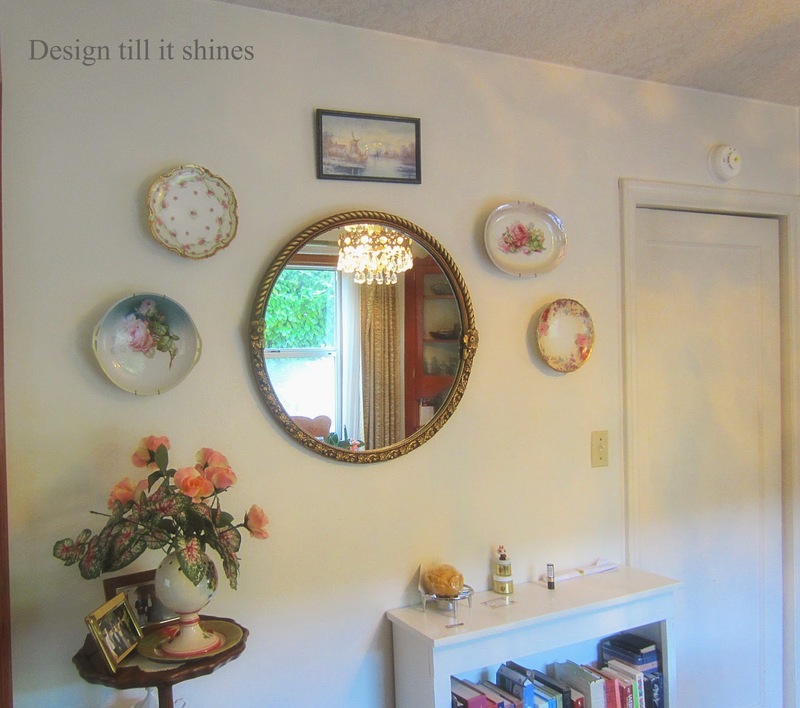 Very pretty mirror with delicate flowers painted on porcelain plates. I don't normally like round mirrors, but I think this arrangement looks perfect on these white walls. This room will definitely take you back in time. 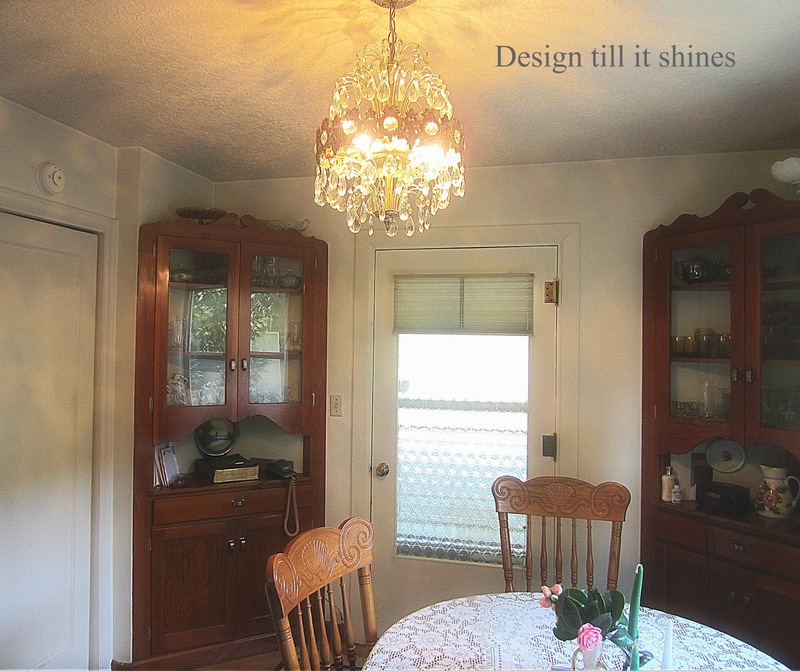 Vintage chandy and lovely glass on the back door. A closer look at the lovely circular pattern on the glass. She left the hutches in their original varnished wood, so pretty. 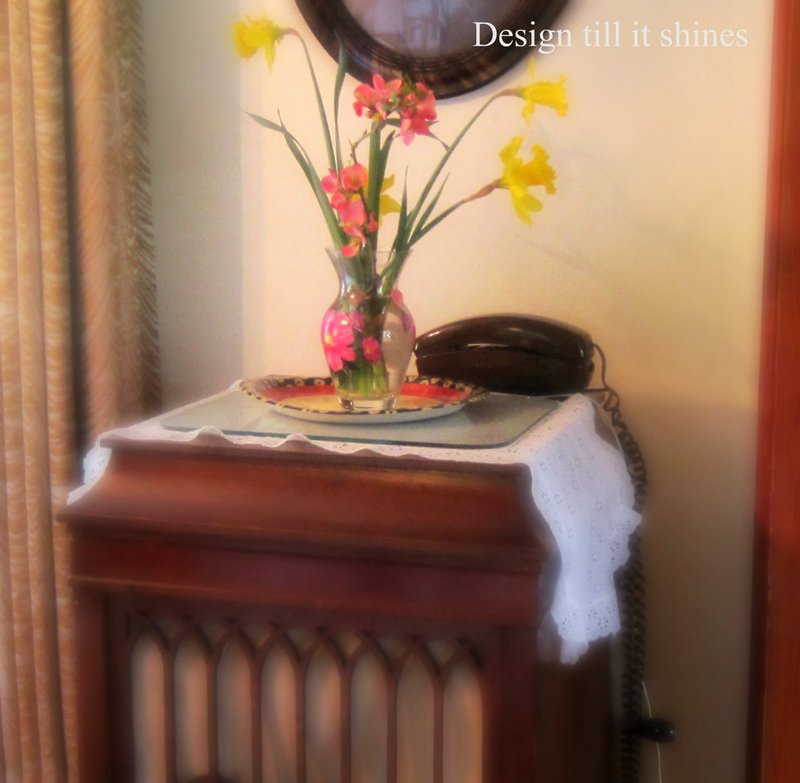 A beautiful Victrola cabinet. 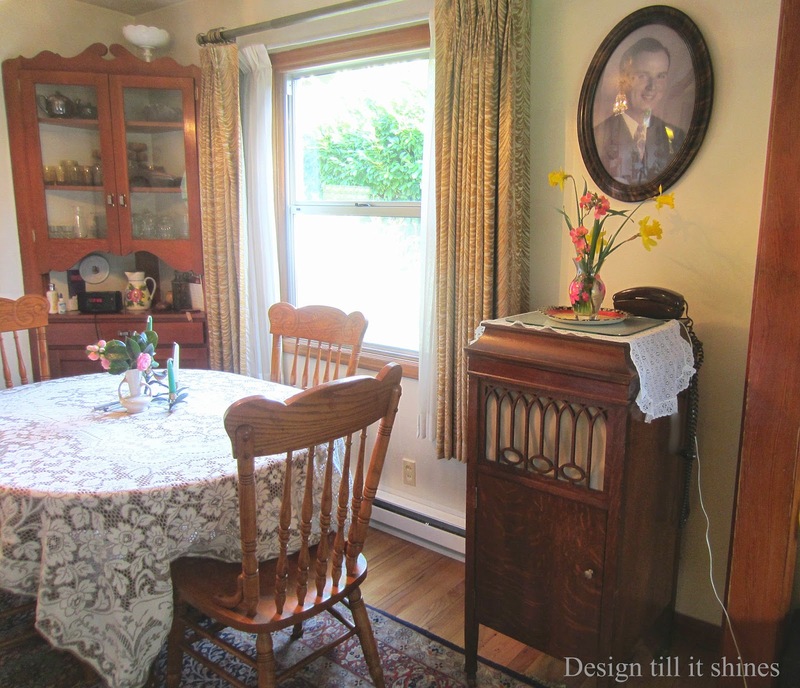 The dining area is small, but so charming with the large picture window. A closer look at her flowers. The peach ones are called quince and love her corded phone in the pic. 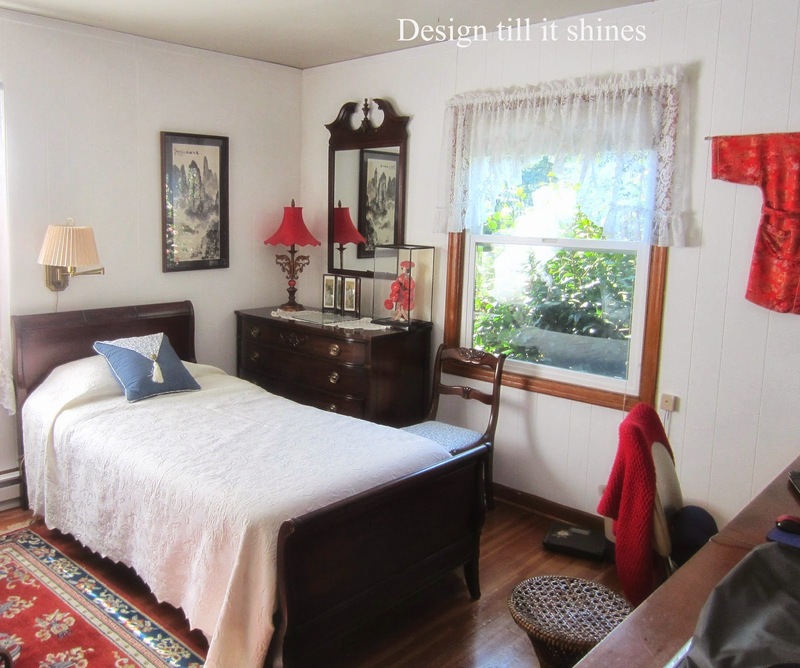 Her guest room is completely different from the rest of her house. 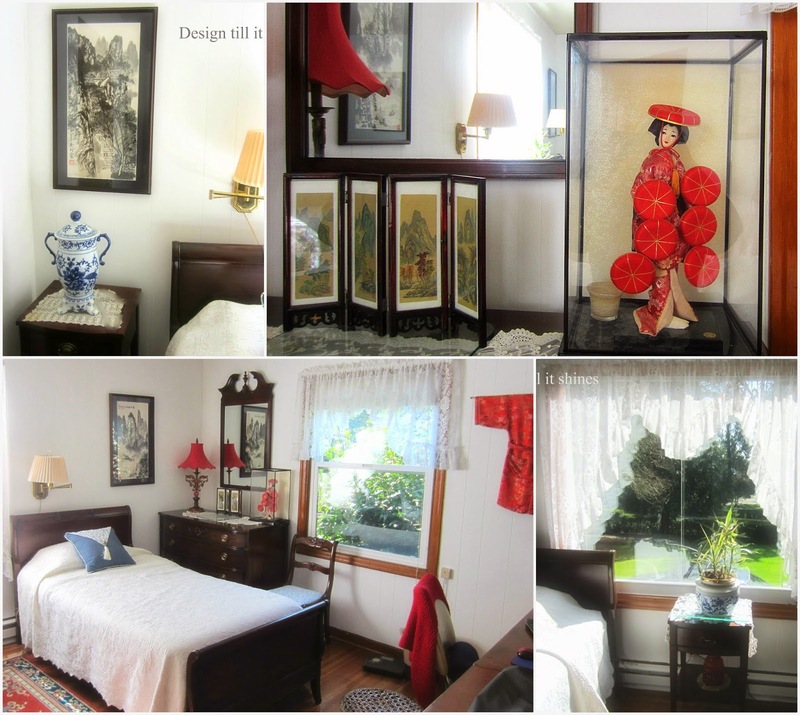 Decorated in an oriental theme, it is her favorite room. 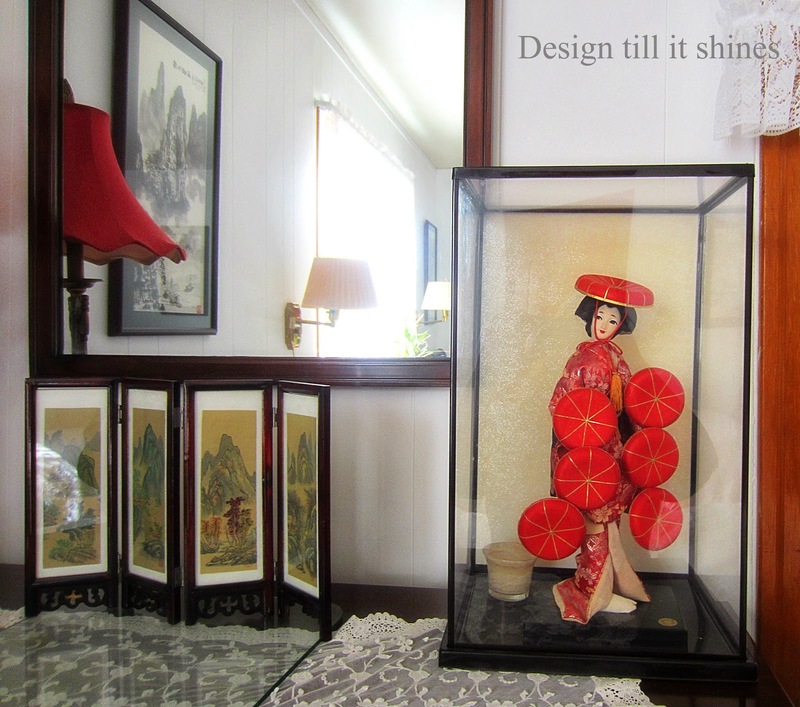 I love the idea of having something totally different and unexpected in your home. Her bedroom furniture works well in here. Love the dark wood. The oriental theme is very calming and she does her computer work in here as well. 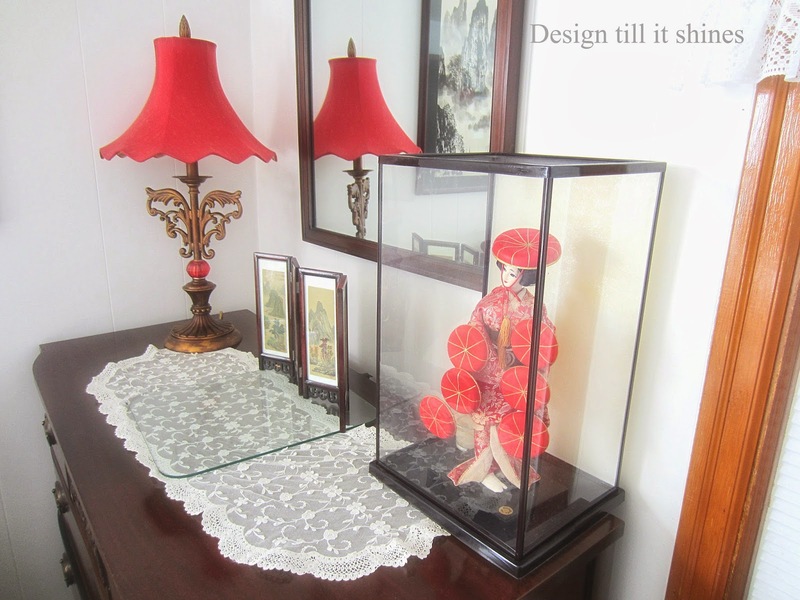 I love the pop of red on that pretty shade and lamp base. Her gorgeous Japanese geisha, such beautiful detail. 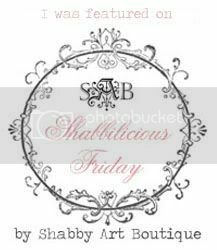 Love the mini screened Asian print as well. I wasn't able to get a good pic of both the twin beds, but wanted to share the outdoor view from her front window. She has the prettiest yard, front and back. That will likely be another post. 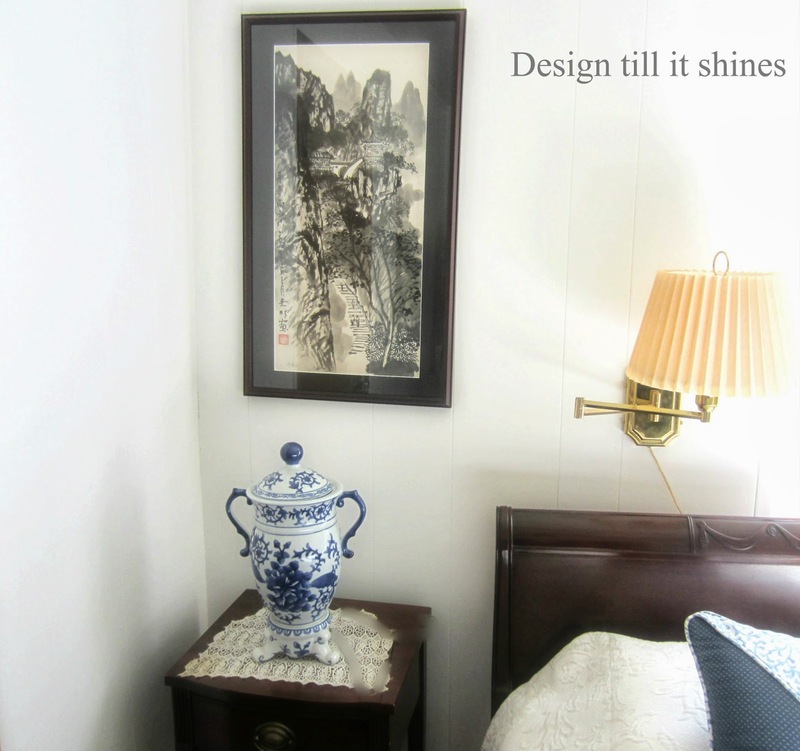 I love this blue and white oriental urn and the simplicity of the Asian print brings a meditative feel to this room. Beautiful finish on this mahogany dresser. The last room reminds me of my grandparent's home and their piano. 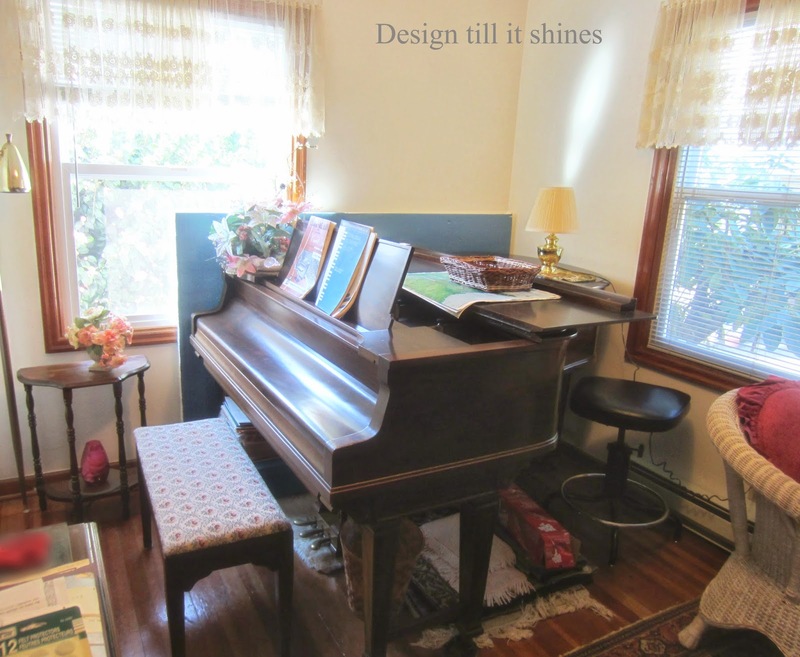 I've always loved pianos and she has a small room with only her piano and a few other things. 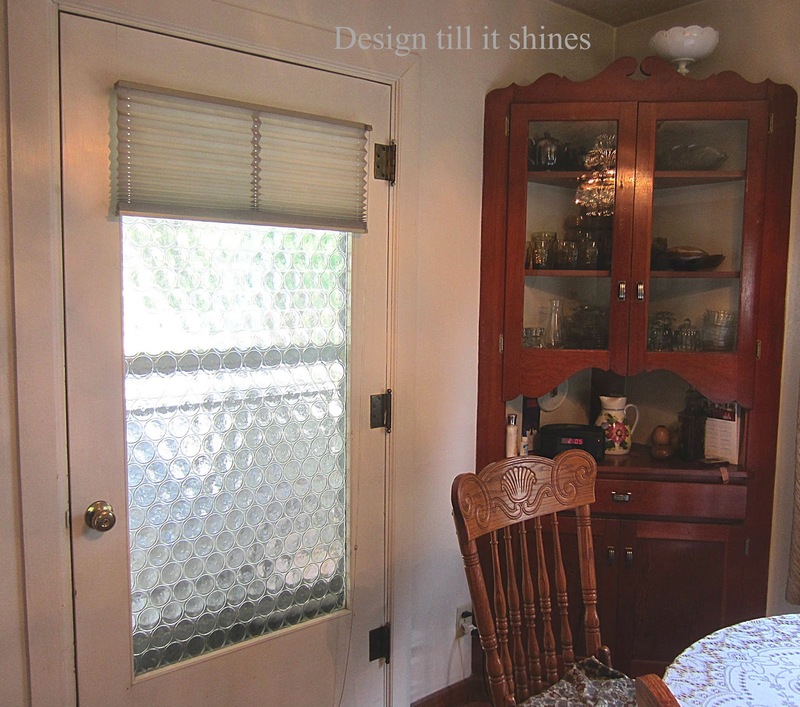 I miss all these great windows in newer homes. 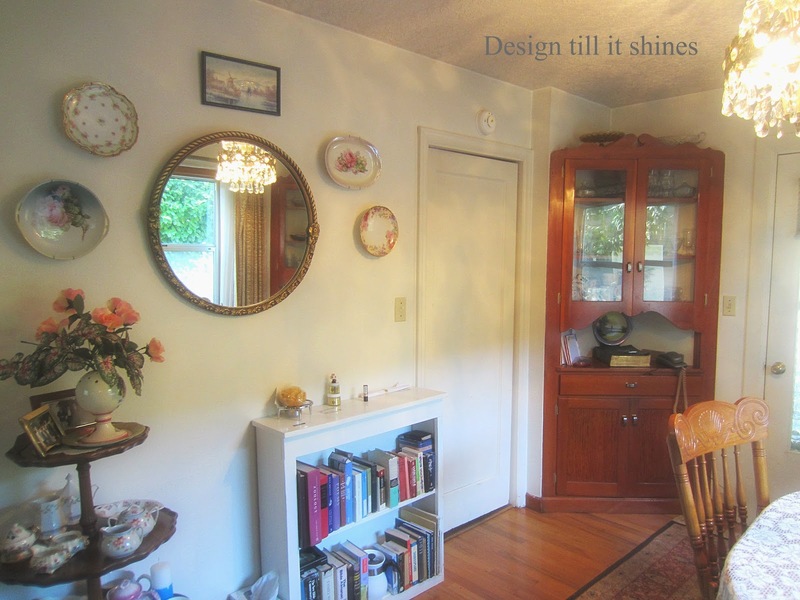 We have to recreate this feeling with our decor, it seems when you don't have an older home. The piano is such a beautiful wood, so I wanted to share a pic with the keyboard closed. 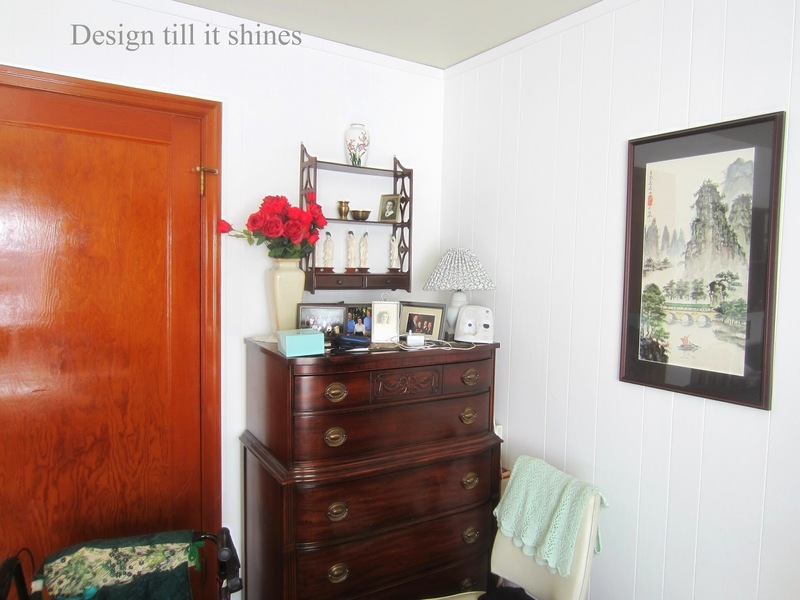 This old fashioned room reminds me of a church chapel with the piano as the main focus. She shared that this was a piano that played by itself, not a traditional player piano but something similar and used small spools. I found it interesting so I'll do more research on it. It was made by the Wm Knabe Piano Co., which was a prestigious piano maker known for excellent craftsmanship. 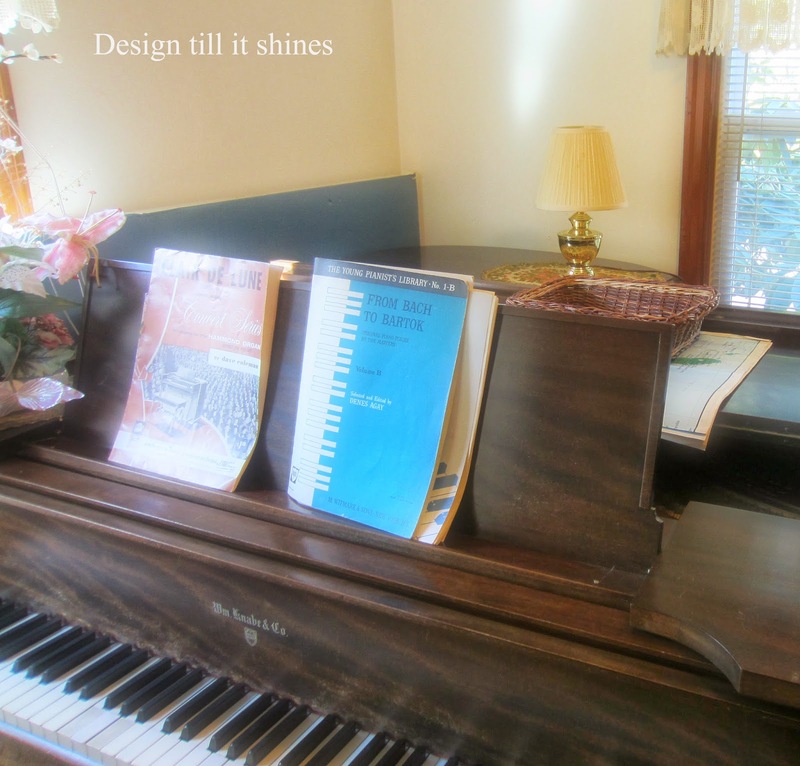 Knabe immigrated to the US from Germany in the 1800's and began crafting pianos in Baltimore MD. 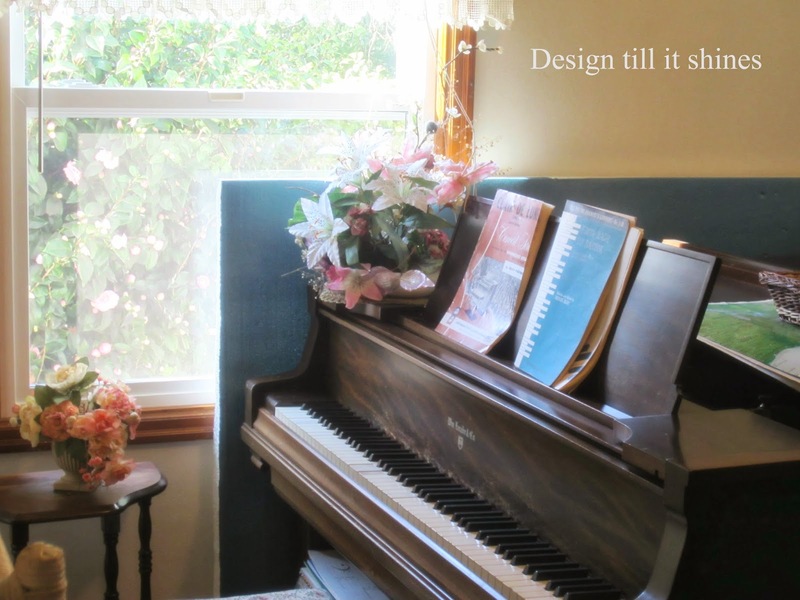 If you're interested in finding out more about the Knabe Piano Co. visit here. Her flowering bushes are just starting to bloom and I'll share more pics of her outdoor area later this spring. 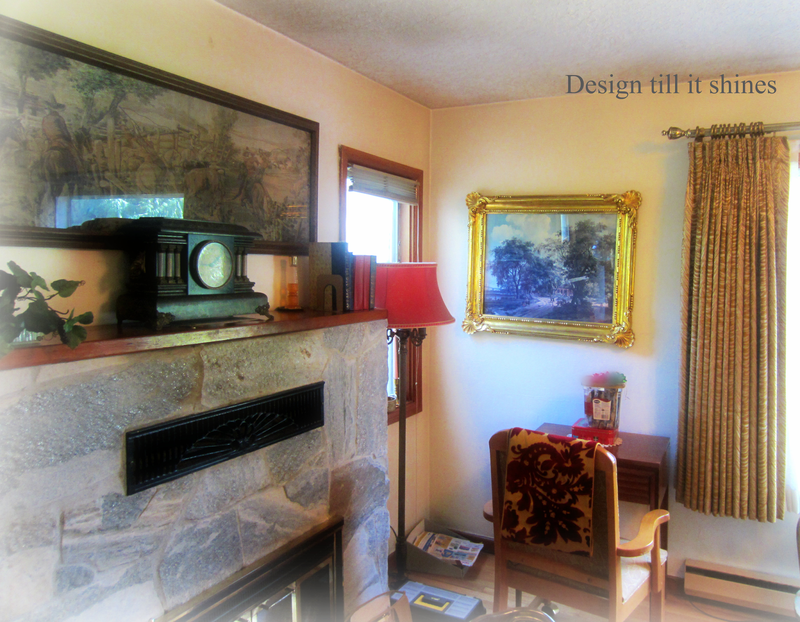 I just love cozy little cottages, so I hope you enjoyed stepping back in time with me. Thanks for visiting! 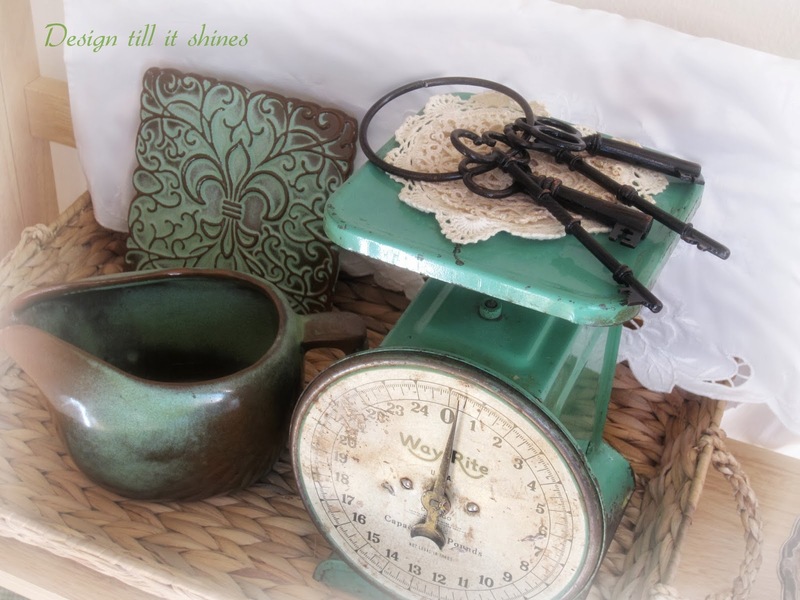 Even though I haven't created anything special for St. Paddy's day this year, I wanted to share my love of green and show a few images of my simple decor style. I'm attracted to the color green for a variety of reasons. 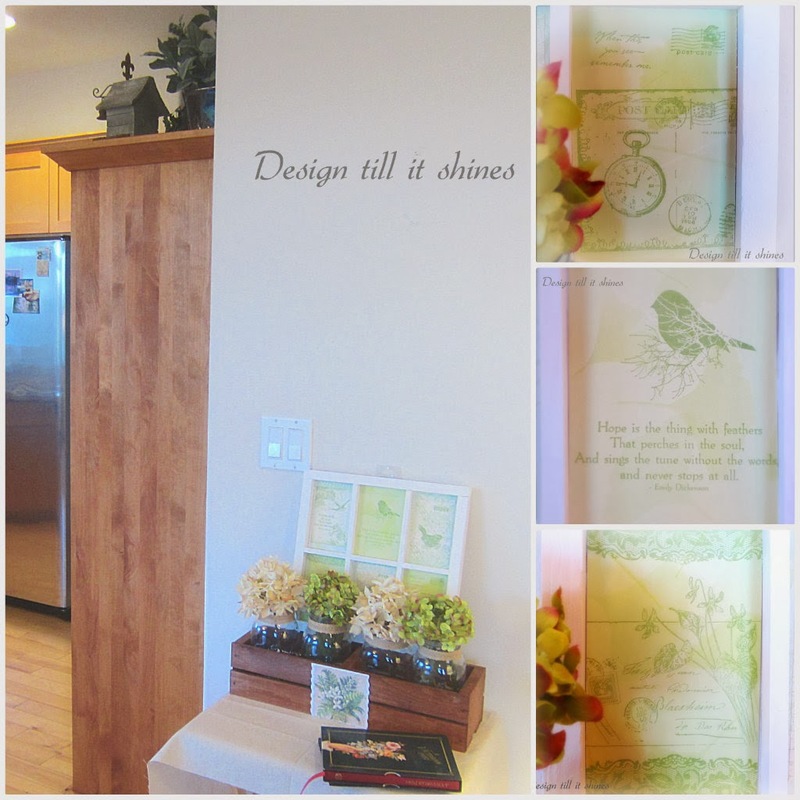 It's versatility appeals to me and I seem to have more green in our home than any other color. Since I consider myself to be a bit of a minimalist when it comes to decorating, I tend to focus on earthy tones and add other colors as an accent, depending on the season. I find green to be a tranquil, soothing color, much like blue, and it adds a farmhouse appeal during the spring and summer months. I enjoy bringing the colors of the outdoors in this time of year. 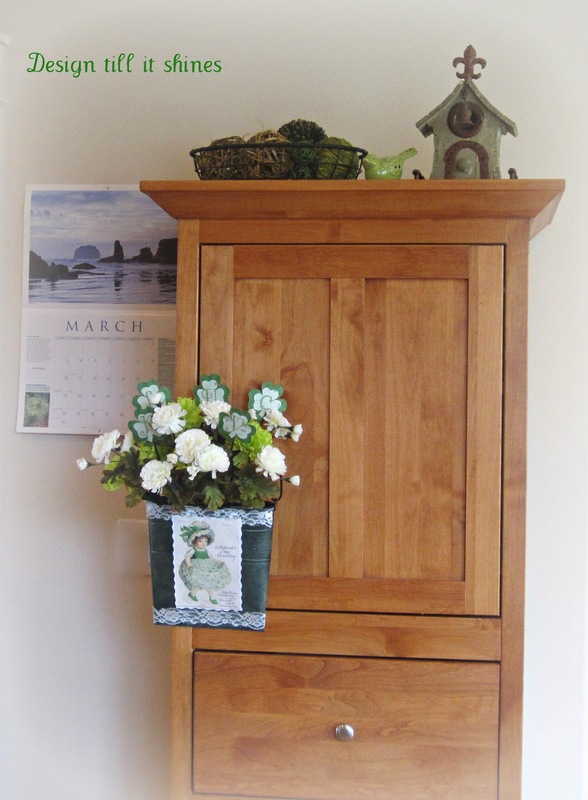 Though our entryway is rather bare at the moment, I do have my farmhouse pantry and as Spring approaches I've decorated it with a touch of green decor. 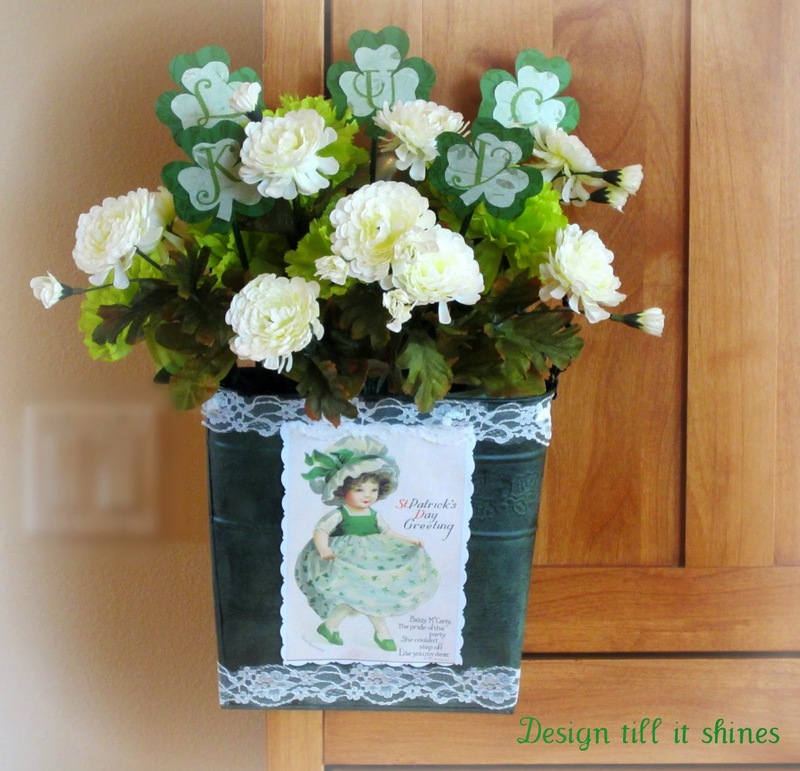 Last year I shared my St. Paddy's day wall basket. The pantry door was the perfect place to hang it for display. You can visit here for last year's post. 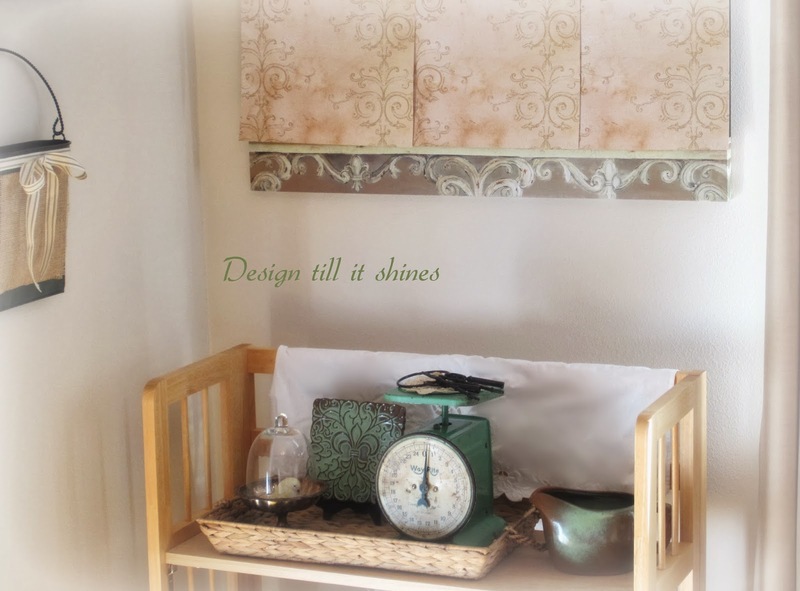 Earlier this year I created this windowpane style wall hanging with my green scrapbook paper and stamps. 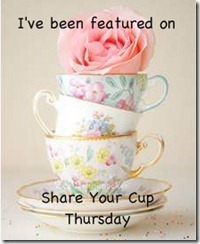 I'm sharing it again since this post reflects my love of green. 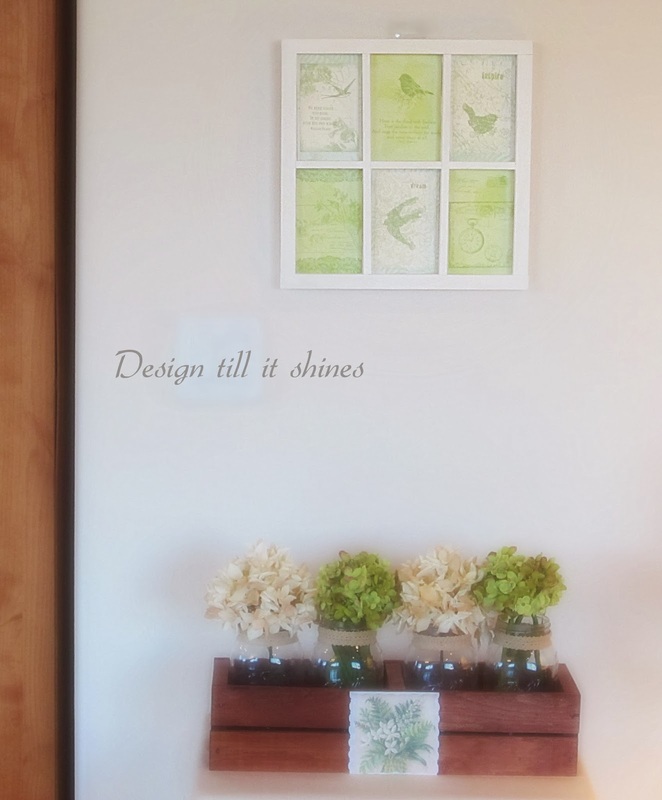 The combination of birds and poetry on the simple wall hanging give a zen like simplicity to this uncluttered space. 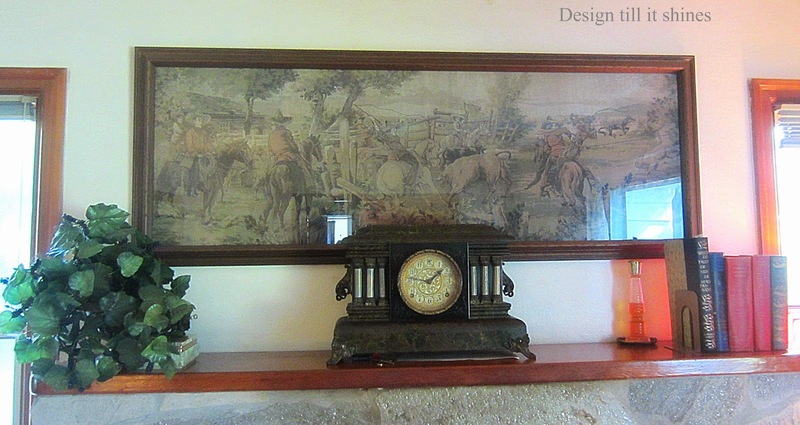 The picture quality is poor, but I wanted to share my farmhouse picture again that I've had for quite a few years. The picture along with the green border really appeal to me. 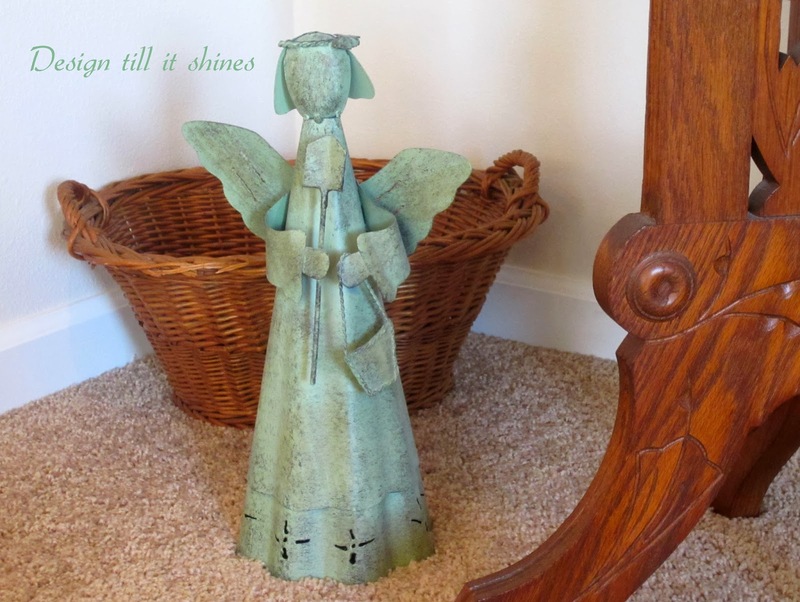 This corner of the living room is rather bare, so I added a little basket and a garden angel by the table. I like to place things on the floor in the corners of my LR because I don't always like to commit to hanging something on the wall, so this kind of fills it in a bit. It's simple but I like it. And speaking of simple, I can't seem to part with my wall clock. I think I've had it for almost 20 years. I know another clock would look much better, but I don't have another place for this one and I'm not ready to give it up yet. It reminds me of an old schoolhouse clock and my grandparent's had one that was similar in their farmhouse. It does look small on this wall though. I've added more wall decor since I took these pics. 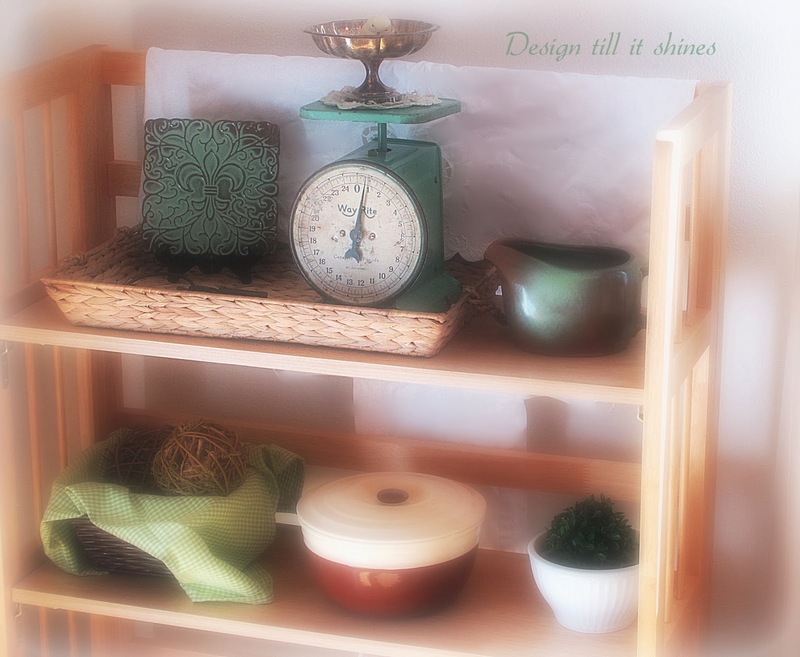 I've posted about my little green scale before and I've added it again to my shelf in the dining area. I've been loving vintage key rings lately, so I added some replicas from a craft store. 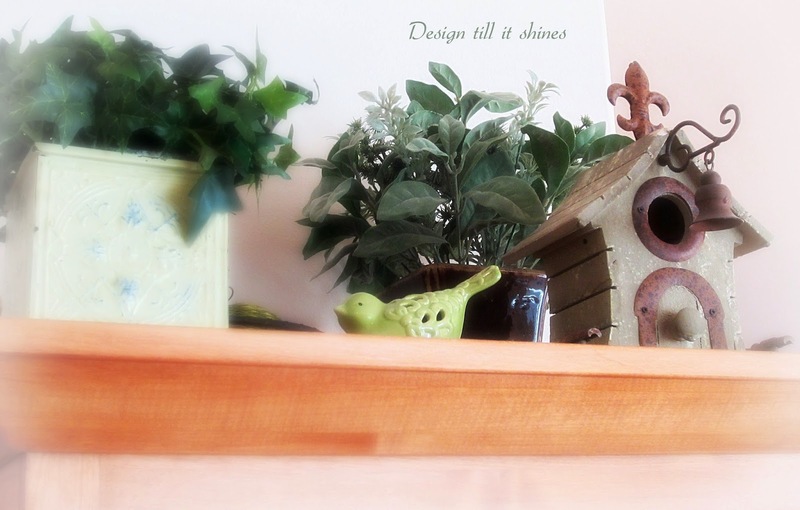 A little green to brighten the dining area. I'm making some changes to the picture hanging above the shelf that I'll share later. 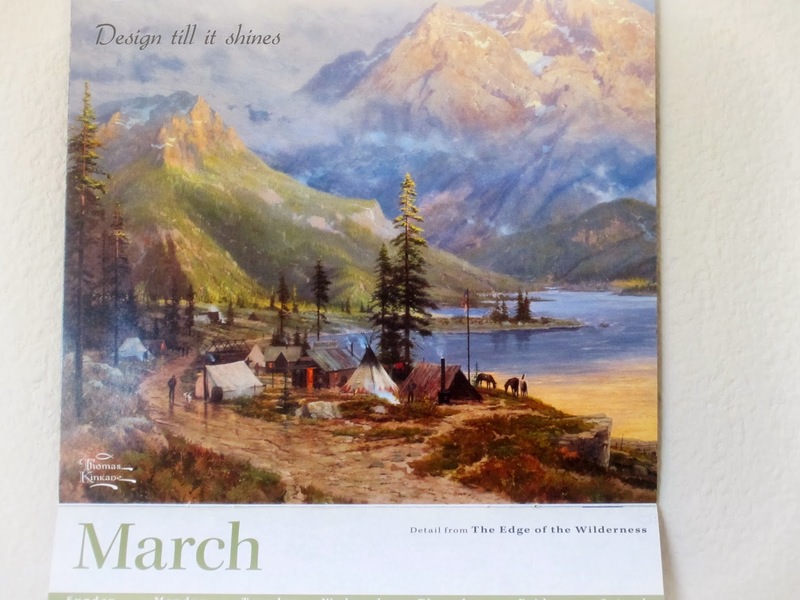 Most people wouldn't think of wall calendars as art for their walls, but I do. At least temporary art until you decide what you want to hang there long term. 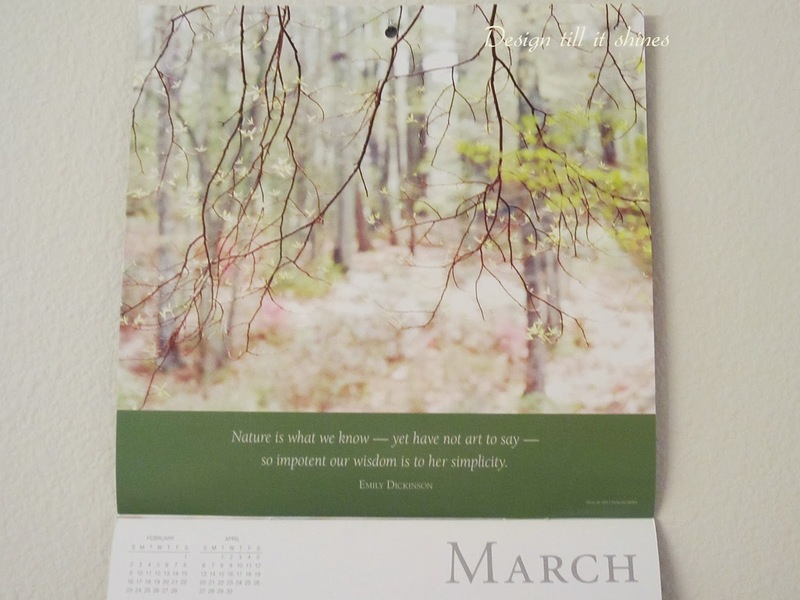 I love these mini calendars for small spaces since they come in such a variety of styles and beautiful photography. 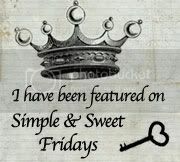 I have a simplicity theme, of course, in my bathroom with a lovely quote from Ms. Dickinson. 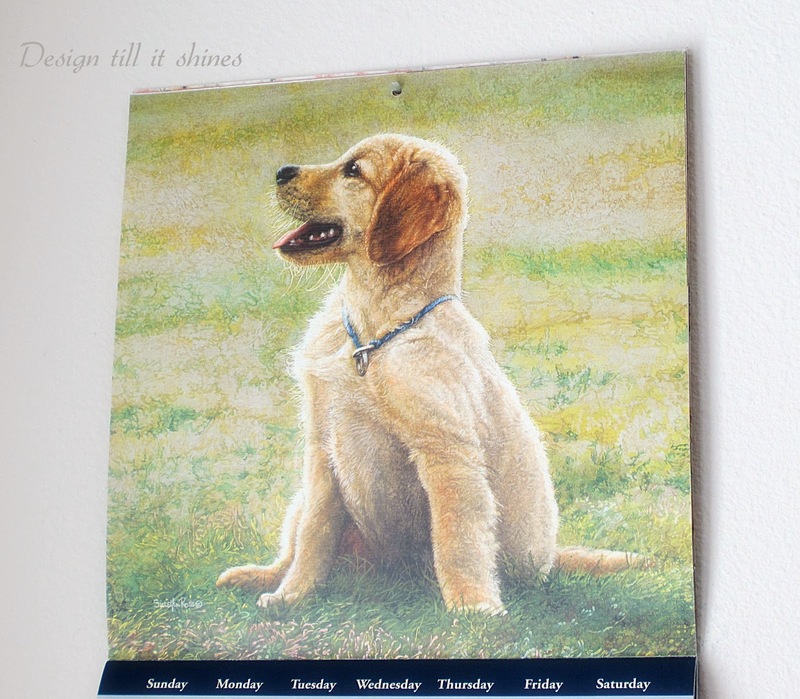 and I couldn't resist sharing this dog illustrated calendar with the sweet lab. 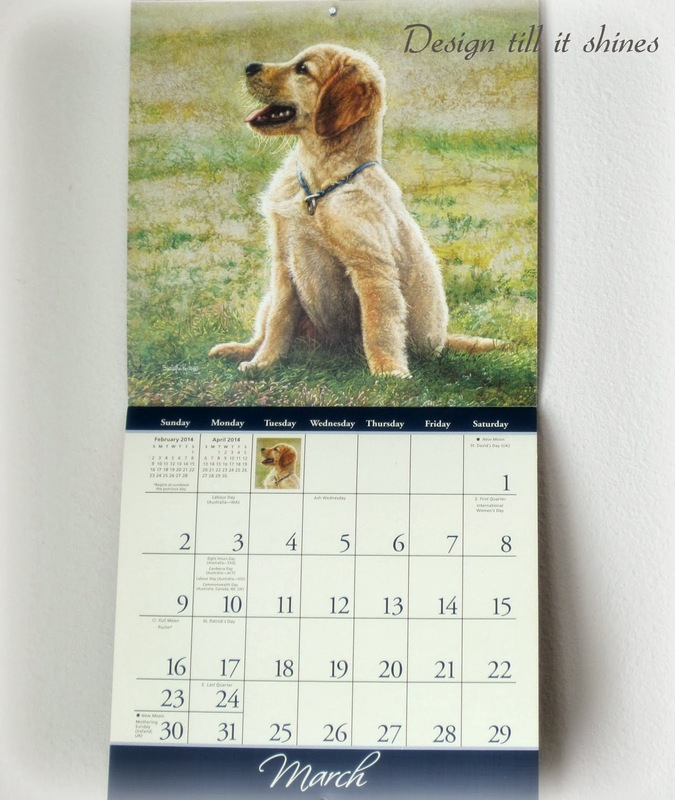 This beautifully illustrated calendar is one of my favorites, especially since we are such animal lovers. I have one more thing to share. This lovely young lady with the green gown. 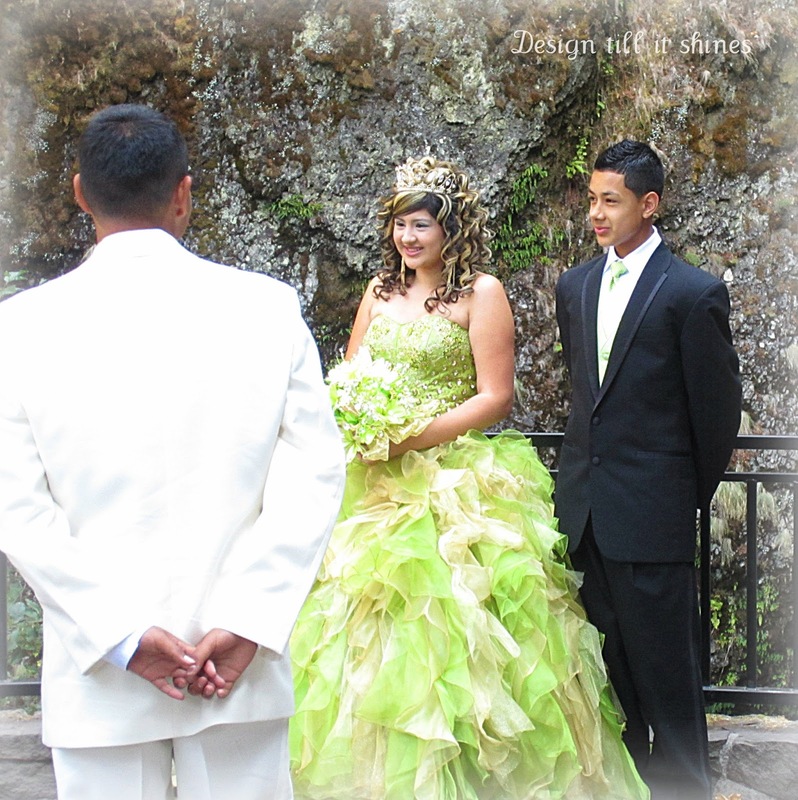 They were celebrating a Hispanic festival and this picture was taken at Multnomah Falls in Oregon. 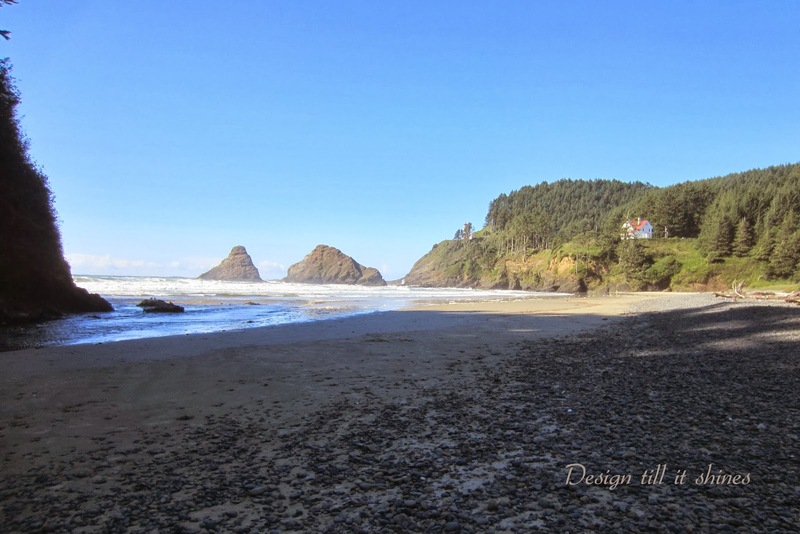 To view more about Multnomah and the beautiful scenery check out my previous post here. Thanks for viewing my love of green! 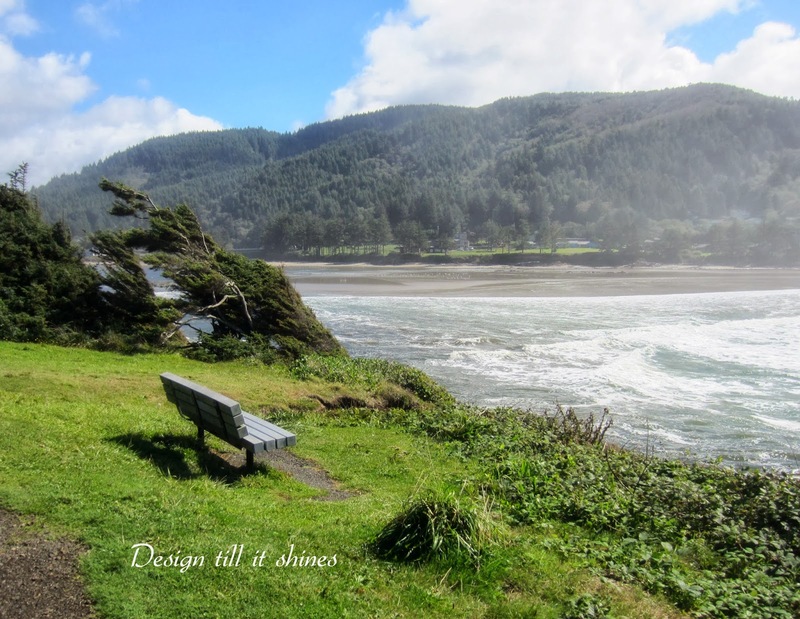 I came across some photos of our visit to the coast from last spring that I wanted to share. We've been fortunate up here since our winter has been pretty mild. I know that isn't the case for many of you, so here are some coastal pics to remind you that Spring is hopefully just around the corner. 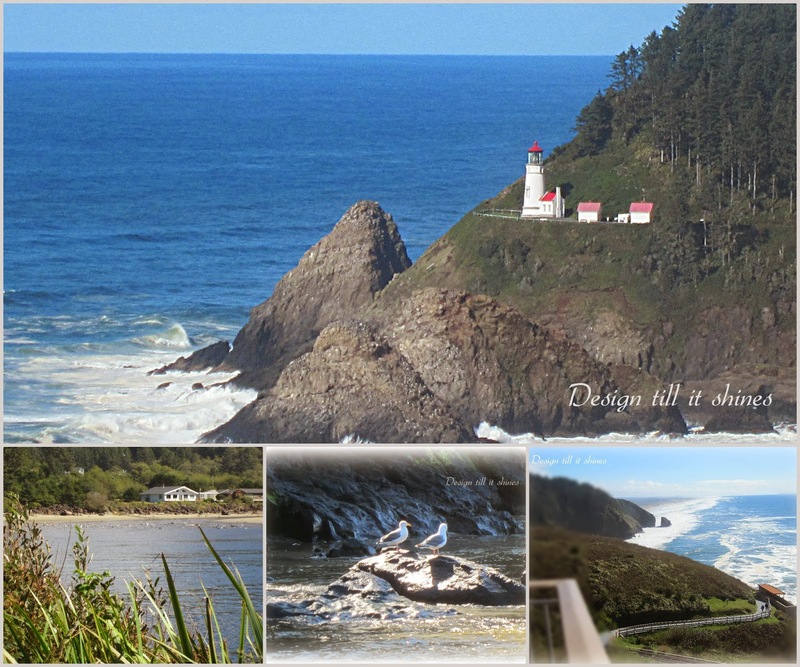 I was surprised that I hadn't shared these photos of Heceta Head lighthouse already, but I've taken so many it's hard to keep track. 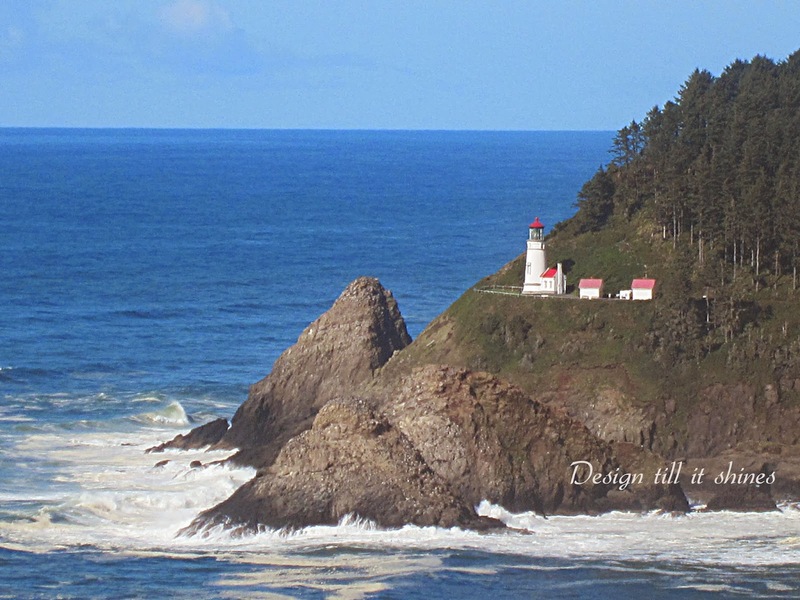 Located near Yachats OR, Heceta is one of my favorite lighthouses on the Oregon coast, mainly because of its location on the beautiful rugged coastline. 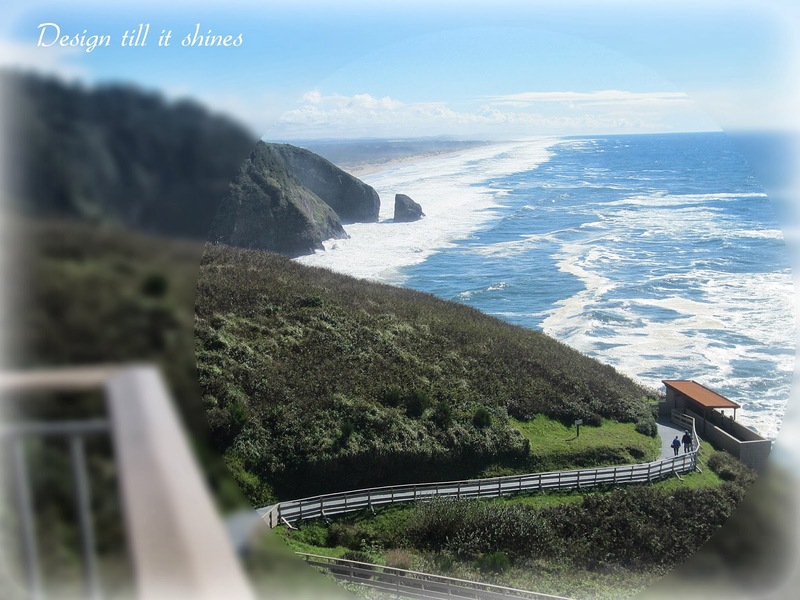 The lighthouse keeper's houses are located nearby. 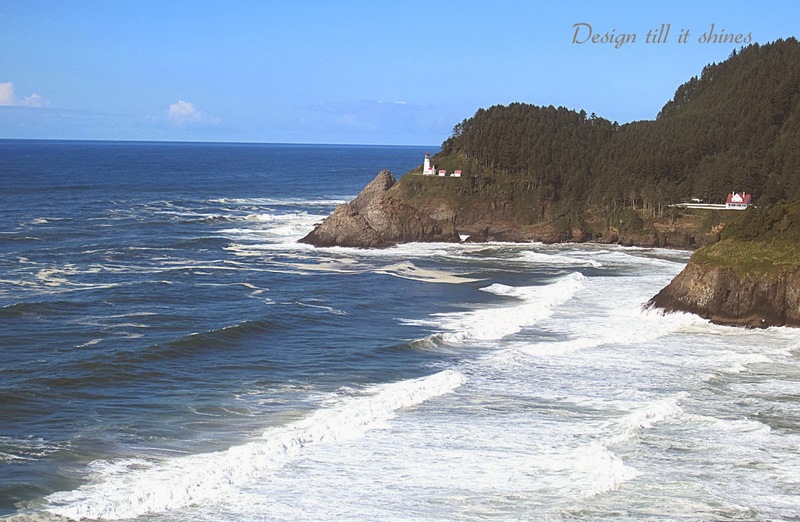 If you're interested in finding out more about the history of Heceta lighthouse visit here and here. The bed and breakfast is the building located to the far right of the lighthouse. To see close up images and find out more visit here. The majestic beauty of the coastline. Visiting on the off season is the best time since there are very few tourists. Not sure exactly where this pic was taken but I love the view. 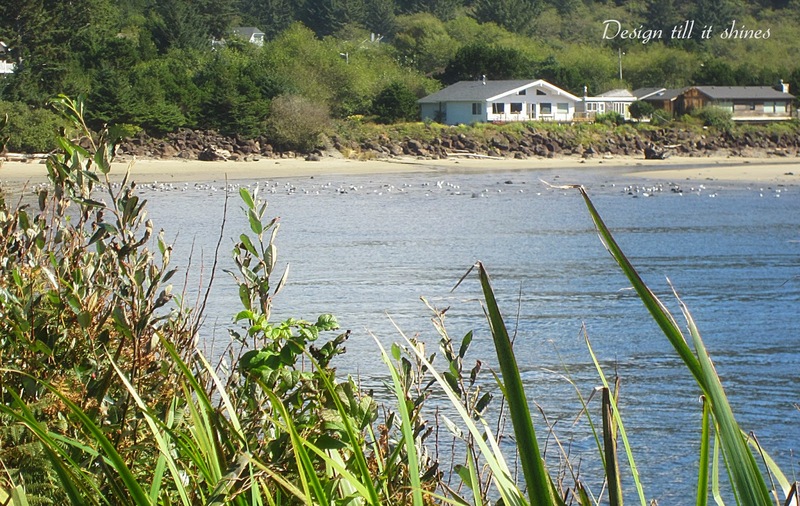 This is a somewhat isolated little cove that is very peaceful and has lovely views of the coast. In winter the winds can become quite strong on the coast and bend the trees inland. You can see what's left of a tree that has been reshaped by the wind on the left. 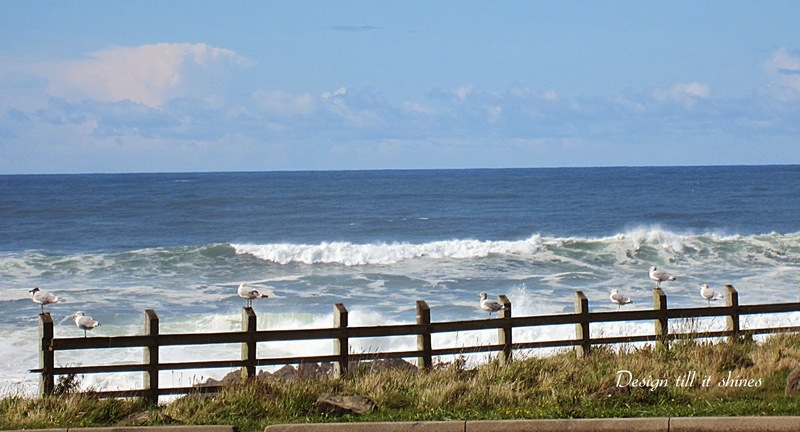 In the late spring and summer this is a lovely spot by Yachats. 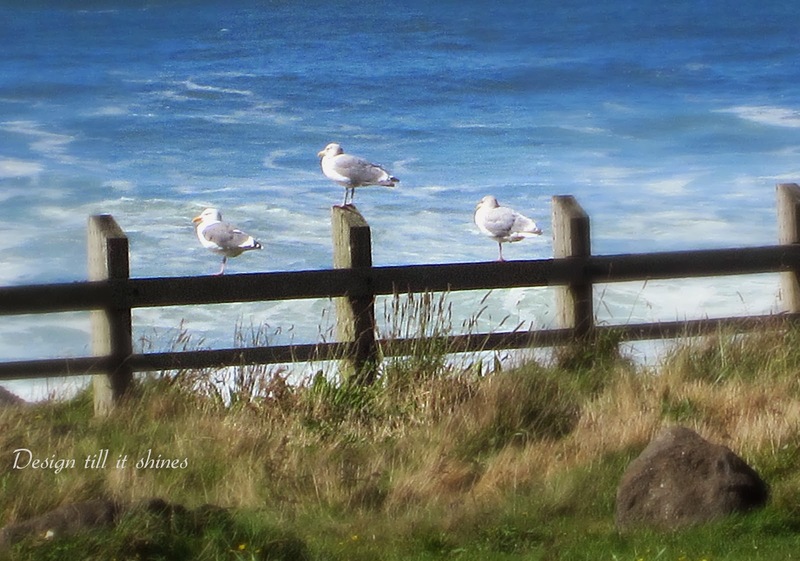 Seagulls resting on the fence. The waves can become quite strong in just a few minutes, it's always changing. On a cool day the temps can drop more than 10 degrees on the coast with strong winds. The seagulls look so peaceful on sentry duty, and are so used to humans that they can become overly friendly. 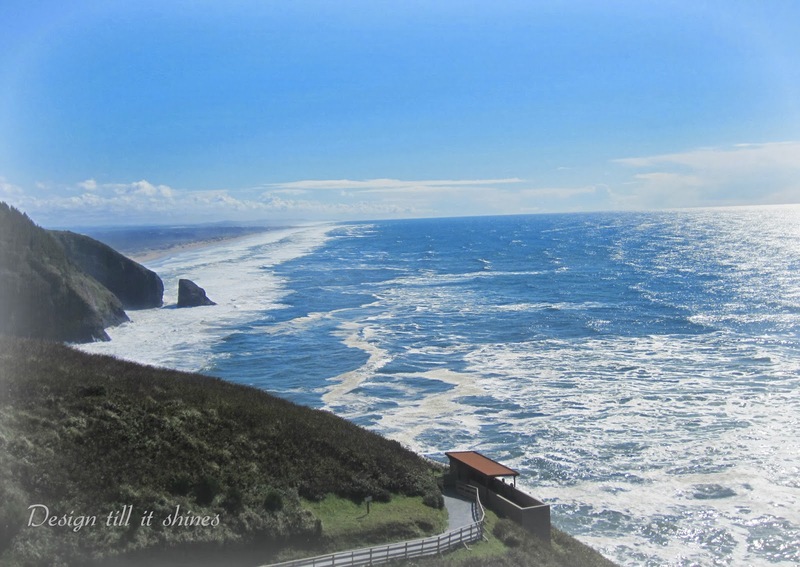 We try and take a road trip to the coast at least once a year. It's always difficult to leave. or the tranquility of the quiet cove. 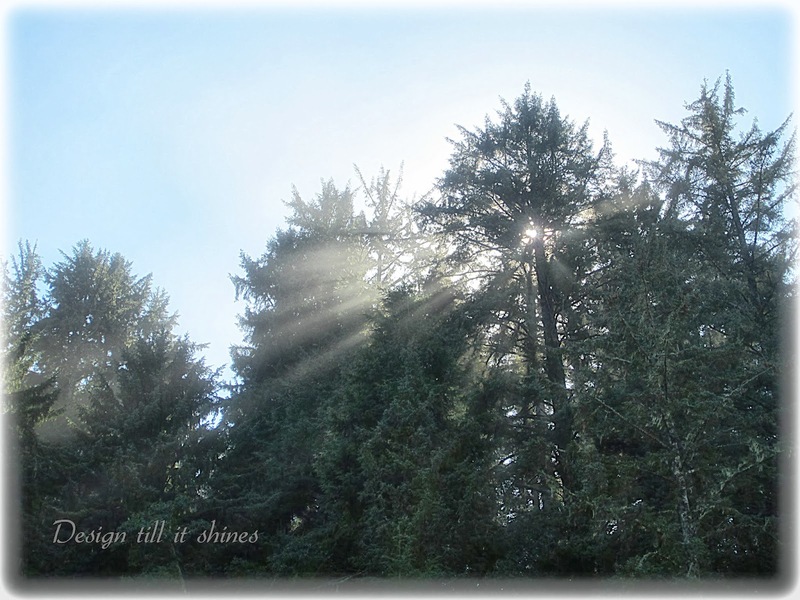 An image of the the sunlight streaming through the trees. 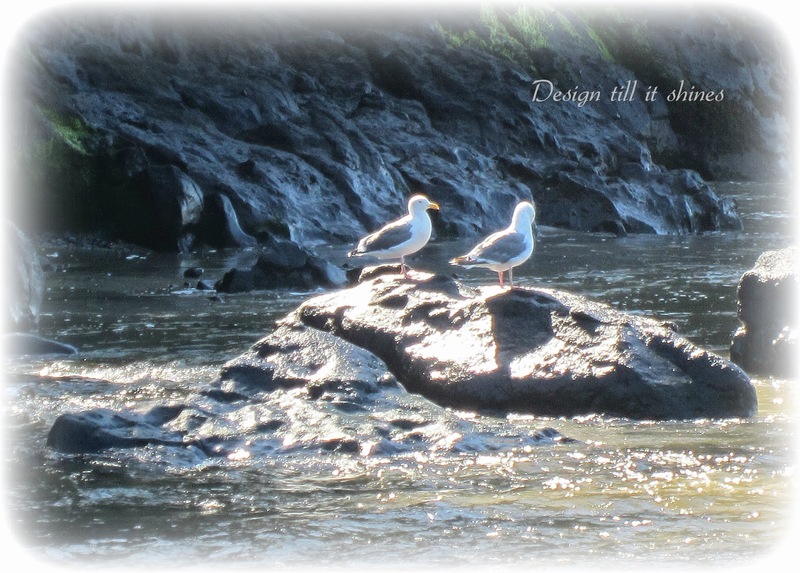 The sweet simplicity of the seagulls sunning on the rocks. I love taking pictures and then reliving the moment. Thanks for visiting!